Katherine Johnson at the launch of her debut novel. Hobart-based writer Katherine Johnson’s first novel, Pescador’s Wake (Fourth Estate 2009), tells the story of the danger and heartbreak of lives at the mercy of the sea during a three-week Southern Ocean chase. It won a HarperCollins Varuna Award in 2007. 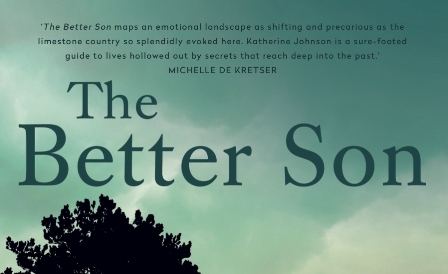 Katherine Johnson’s debut novel is much like the icebergs that threaten both vessels. Perfectly crafted crystalline prose dazzles on the surface while intricately woven characters and their stories explore the unknown depths of heartache and betrayal, love and resilience.